A Lannister always pays his debts, but is it always the smartest thing to do? Game of Thrones: Did Cersei make a mistake by paying up her debt? Several people through the 6-seasons-long run of Game of Thrones have told Cersei she's not as smart as she thinks. Now it seems, in season 7, she may have finally proven them right. 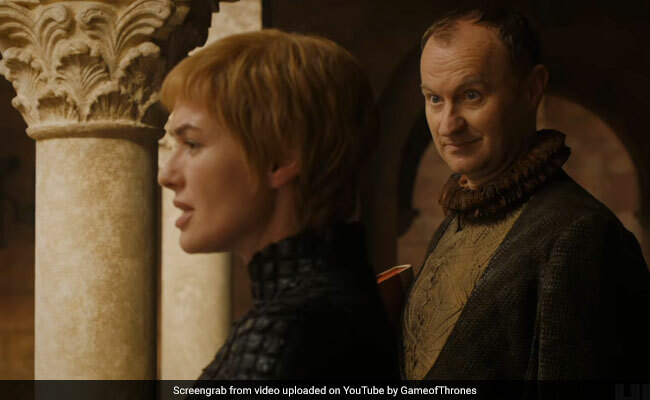 A Reddit user has pointed out why Cersei paying the debt owed to the Iron Bank in full might have been a huge mistake. The user points out that by paying the loan out, Cersei Lannister has ensured that the bank no longer has a vested interest in her victory. "Tywin was no fool and he knew that while the Lannisters were in debt to the Bank the Bank had a vested interest in their success. By paying the debt in full Cersei has allowed Tycho to wash his hands of the Lannisters altogether," says the post. This means that the Iron Bank is now free to back Daenerys Targaryen's claim to the throne, and that would make sense, given that Daenerys has two armies and three dragons and hence a higher chance of winning the throne. "We have seen Cersei's Modus Operandi over and over again. She makes a short term play that costs her in the long run. This is her big mistake, Tywin was no fool and he knew that while the Lannisters were in debt to the Bank the Bank had a vested interest in their success. By paying the debt in full Cersei has allowed Tycho to wash his hands of the Lannisters altogether. After what we saw on the battlefield we have a good idea whose position is strongest and who the Bank would like to back. This clearly contributes to the dire situation in Kings Landing with no grain and limited supplies. She will not Abdicate, instead force the dragons to destroy the city at which point the Kingslayer will be the Valonqar most assume he will be. The irony of this theory is in this case the Lannisters are undone by paying their debt." The theory has been upvoted over 5,000 times on Reddit and has received a ton of comments from Game of Thrones fans saying that it makes perfect sense. Could this be the crucial mistake that leads to Cersei's downfall? We'll just have to wait and watch.